In this section, you will find a variety of activities to help you make more of your journey. All these activities are led by qualified and helpful guides who will make sure you are safe while having a lot of fun. While game drives are justifiably the main attraction on any safari, most people find it refreshing to stretch the legs and try something different. 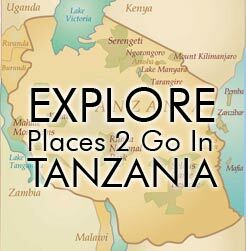 You may want to consider some of the following activities: Horse Back Riding, Guided Bush Walks, Mountain Biking or visits to historic areas such as Olduvai Gorge while on safari or historic Stone Town while on Zanzibar . Whether it is game viewing from the water, fishing or just relaxation, Tanzania parks reserves and coasts (ocean and lakeside) have much to offer. Check out the following acitivities: Canoeing & Boating, Game Fishing, Snorkeling & Scuba Diving to name a few. Africa’s highest peak, Mt. Kilimanjaro, bekons. You might deicide that summiting Mt. Kilmanjaro is the focus of your Tanzania vacation. But even thought Mt. Kilimanjaro is among the most famous treks in the world, you could also challenge yourself with climbs of Mt. Meru (14,979 ft) or Ol Doinyo Lengai (an active volcano)! If touching the sky at the summit of Mt. Kilimanjaro is not on your “to do” list you can experience incredible aerial views of Tanzania’s landscape and wildlife from the air. Consider a Hot Air Balloon ride.